Windows Defender has improved over the years. For the majority of Windows 10 users, it offers more-than-adequate protection. However, there are lots of options out there. How can you decide which is the best antivirus for Windows 10? Here are our eight picks. If you want to stick to free options, consider one of the programs below. Before installing any of them make sure you pay particular attention to avoid installing bundled toolbars—they are now commonplace as the developers look to monetize their products. , having been baked into the operating system since the Windows 8 release in 2012. It grew out of Microsoft Security Essentials but is now a standalone real-time antivirus program. Yet the app still suffers from its old reputation. Back in 2015, it was given just 0.5/6 in a study on AV-TEST. However, it’s now one of the site’s recommended products. In June 2018, it scored 6/6 for protection, 6/6 for usability, and 5.5/6 for Performance. It works straight out of the box; there is no need for you to enable anything, set anything up, or register for anything. For people who are less computer literate, this is a huge positive. Nagging antivirus apps are a huge pain. You don’t have to put up with them, even for free. Here are the best antivirus programs that don’t come with popups or bundled junk.
. Many free antivirus suites now pester you once a day (if not more) to upgrade, or add features. Some of them are on the verge of becoming malware in their own right. 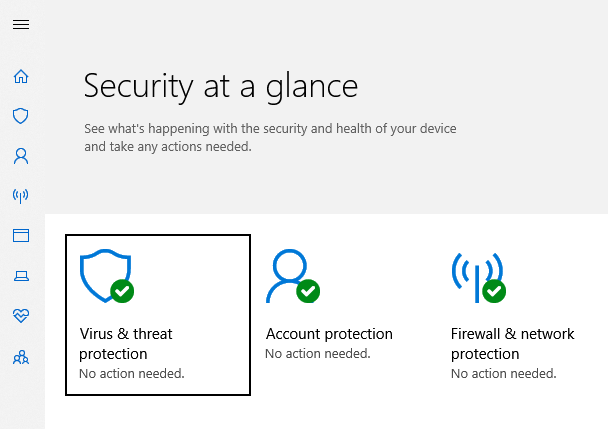 With Windows Defender you won’t even know it’s running unless it finds a problem. It’s not going to monitor your browsing history. Some of the free options have now started harvesting your data in an attempt to make a profit. For example, in 2014 Avast was found to be tracking what sites you are visiting and using that data to insert their own adverts into pages. 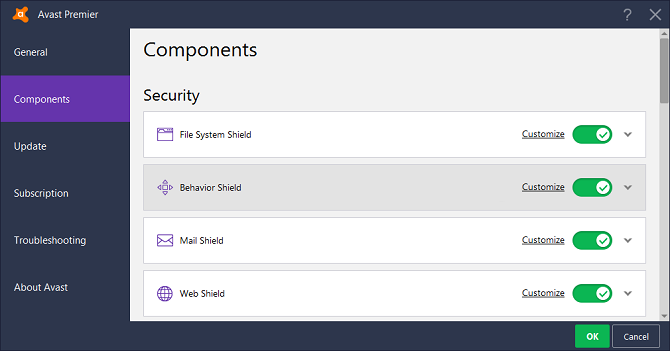 In Windows 10 it’s not easy to turn off Windows Defender manually—it requires a registry hack or a Group Policy tweak. This is intentional and comes back to Microsoft’s policy of attempting to make sure you always have some basic cover. If you install a third-party antivirus program, Windows Defender will be disabled automatically. That wasn’t always the case. Back in 2014 and 2015, the app struggled in AV-TEST’s performance tests. It frequently struggled to score more than 10/18. However, in mid-2016 the suite was given an overhaul. Ever since, it has been one of the best performing products. The latest release saw the app earn 5.5 for protection and perfect sixes in the other two categories. It now holds AV-TEST’s top product award, so you can be sure you’re in safe hands. Avast is arguably AVG’s biggest rival. The basic scan feature is solid, fast, and lightweight. But be warned, the app has introduced a phenomenal number of nag screens and pop-ups in recent releases. Avast also includes a game mode. When activated, Avast won’t eat up system resources nor show popups. 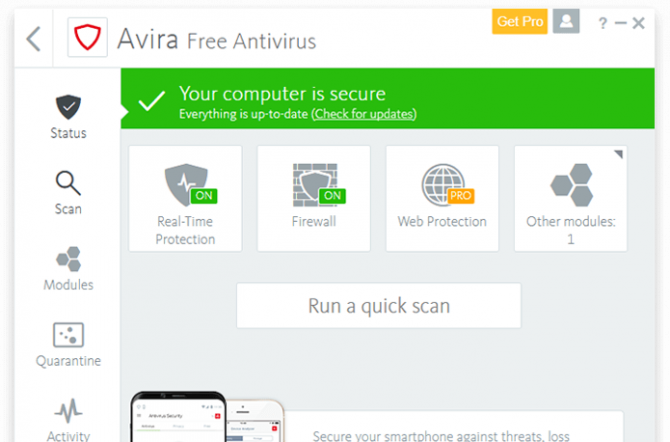 Avira makes up the final leg of the free antivirus triumvirate. It’s a halfway house between the other two, more lightweight than AVG, but with better detection rates than Avast. It also has pop-ups, but not as many as Avast. The free version even includes a VPN. It’ll keep you safe online and provide a way to access geo-blocked content. Note: All the paid and free programs listed above have been made compatible with Windows 10, and they will all disable Windows Defender once installed. If you’re happy to spend a little, your options for quality coverage improve immeasurably. You could spend a long time scouring various antivirus testing sites like AV-Comparatives, but in truth, there is very little to choose between the market leaders in terms of performance.
. It’s also extremely good at removing infections like Search Protect and Trovi. 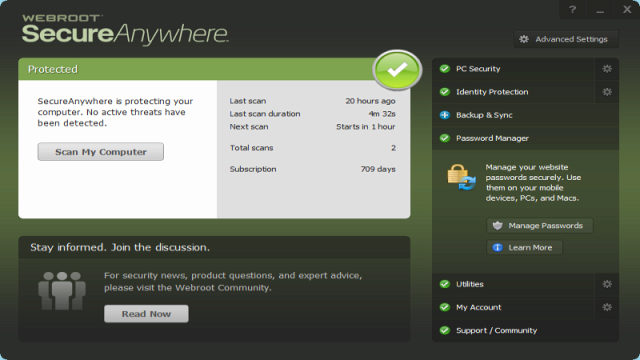 The premium version also adds ransomware protection, identity and privacy safeguards, and virus protection. It’s easy to make the argument that the app offers the best malware protection on Windows 10. The premium version costs $39.99 for a one-year subscription. Our next recommendation is Webroot. The app is extremely lightweight (the program is just 2.1 MB), it uses no more than 3 percent of your computer’s resources, it has no pop-ups, and no add-ons. It’s ideally suited to businesses, heavy gamers, and power users. The company’s entry-level plan costs $39.99 per year. It will protect you from identity theft and malware. For more features, you will need to upgrade to the Internet Security Plus ($59.99 per year) or Internet Security Complete ($79.99) plans. They include features such as 25GB of online storage and password protection. Kaspersky is more of a resource-hog than many of its competitors, but the flipside is that it is typically the number one app on AV-TEST for malware detection and removal. In the most recent June 2018 results, it was one of just three apps that scored 6/6 in all three categories. Security news is currently awash with a series of accusations against one of the world’s leading antivirus developers, Kaspersky Lab. So, can you trust Kaspersky antivirus, or does it let Putin into your PC? after being maligned by the US Department of Homeland Security. Kaspersky costs $39.95 to $79.95 depending on which plan you choose. NOD32 has some of the lowest false positive rates, is lightweight, and is consistently near the top of performance charts. Indeed, many power users swear by the holy-trinity of NOD32 (which focuses on system files), Malwarebytes (which focuses on web-based issues), and CCleaner (a PC optimization tool). The cheapest plan ($39.99) offers basic protection, for features such as online banking protection, photo and file encryption, and password management, you’ll need to pay $79.99. It’s essential that you use some form of security software on Windows 10. Whether you choose the free native offering, a free third-party alternative, or a paid app depends on which features are important to you (and the size of your wallet! ).